Product Manager: Is Your Product Conflict Mineral Free? Just when you thought that being a product manager couldn’t get any tougher, it just did. So I’m pretty sure that by now you’ve hear about “conflict diamonds”. These are diamonds that are mined in parts of Africa where there are ongoing wars. The bad guys sell the diamonds to fund their wars. People have been instructed to not buy conflict diamonds in order to prevent the bad guys from keeping the wars going. Well guess what, there’s something else that we shouldn’t be buying – conflict minerals. Why Are Conflict Minerals So Bad? First off, let’s all make sure that we know exactly what we’re talking about here. What are conflict minerals? Conflict materials are defined as including tin, tantalum, tungsten and gold originating from the Democratic Republic of the Congo. The Democratic Republic of the Congo has been at war for a long time and nobody wants to support the bad guys by buying the results of their mining. 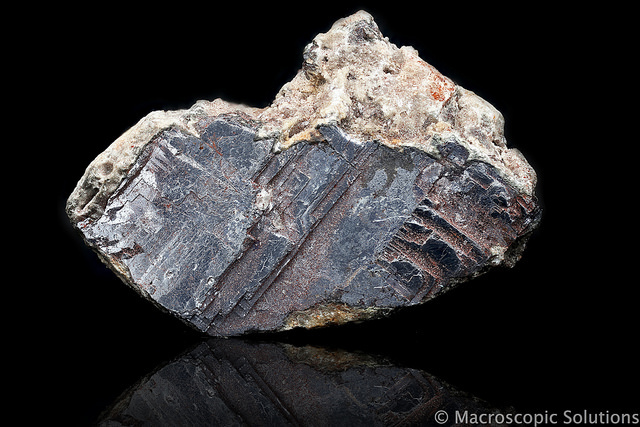 The reason that it is so hard to avoid purchasing conflict materials as a part of our product development definition is because 12% of the world’s supply of tantalum alone stems from miners in the DRC, according to the U.S. Geological Survey. This metal is essential in companies’ ability to build smaller and lighter cellphones, laptops, hard drives, and other devices. As you can see, it can be all too easy for conflict minerals to slip into any product’s, including yours, supply chain. Although of course no product manager would ever want to have a group of angry protesters standing outside of store that sells his or her product waving signs that say that his or her product supports the bad guys by using conflict materials (that would look bad on the product manager resume), things just got even trickier. Rules arising from the 2010 Dodd-Frank Act mandate that companies begin to disclose in reports filed with the U.S. Securities and Exchange Commission whether any tin, tantalum, tungsten or gold, in their supply chains is connected to violent militia groups in the Democratic Republic of the Congo. Yes, you’ve got it right – even the government wants to know if your product is using any conflict materials. How Can You Be Sure You’re Not Using Conflict Materials? I think that we can all agree that for a variety of both moral and business reasons no product manager wants to have any conflict materials being used in their product. Now comes the tricky part, how can we determine if this is the case? What you are going to have to do is to track materials from more than 2 million artisanal miners in the Eastern Congo that smelt small amounts of metals—and determining if they have link to guerrilla operations. If this seems like a herculean task, it is. Other companies have been working at doing this for quite some time. It is believed that companies shelled out roughly $709 million and six million staff hours last year to comply with rules to disclose “conflict minerals” in their supply chains. Some firms even went so far as to send members of their staff over to the conflict region in order to confirm that they were buying from the right suppliers. Spending both time and money on checking your supply chains is good; however, it may not be enough. 90% of the 1,262 companies that filed conflict-mineral reports with U.S. securities regulators last year said they couldn’t determine whether their products are conflict-free. Face it, when you are a product manager who is talking about a global supply chain for your product, there are an awful lot of both players and materials involved. Ultimately what is going to have to be done is that auditors are going to have to be brought in to confirm your findings that your supply chain is conflict materials free. Product managers want to create products that solve problems for our customers – that’s what our product manager job description tells us we should be doing. We want our customers to feel good about selecting, purchasing, and using our product. It turns out that there is something called conflict materials (tin, tantalum, tungsten and gold) that have been mined in The Democratic Republic of the Congo. For both moral and business reasons, we need to make sure that parts made using these materials don’t make it into our product. The reason the conflict materials could find their way into our product is because 12% of the world’s supply of tantalum alone stems from miners in the DRC. A lot of the materials come from very small producers who may or may not be aligned with the guerrilla operations in the DRC. What this means for product managers is that we need to take a very close look at our supply chain. Ultimately we may not be able to say with 100% certainty that our supply chain is free of using conflict materials. This is when we’ll have to bring in the auditors to back up what we are saying. In the world of product management, we like to prevent problems before they show up. The use of conflict materials in our products is wrong and it could cause a customer backlash if it ever came to light. What we need to do now is to take steps to closely examine our supply chain in order to make sure that we are not knowingly using a supplier who uses conflict materials. No, we can never be 100% certain that we’ve eliminated all of the sources of these materials, but we sure can give it our best effort. Question For You: If someone comes to you and tells you that you are using conflict materials in your product, what should your first step be? Hot products is what all of us product managers really want. We want the product that we are responsible for to be the one that is flying off of the shelves. Although this may be a great fantasy for most of us, some of us do find ourselves in this situation. However, nothing lasts forever. What’s a product manager to do when your once hot product starts to cool down? What Do Product Managers Have To Do To Win The At-Home Soda Wars?